The Grand Theft Auto V official gameplay trailer hits on web after five years waiting. 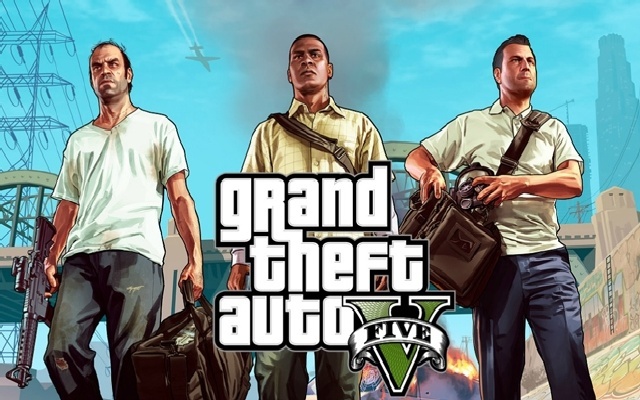 The new gameplay of GTA V, appears with new and exciting look to the game fans. With all new look, characters and mods, Rockstar Games now offer you a really new excitement in this game with all new features and special episodes. Although it takes huge before the Rockstar Games offers the Grand Theft Auto V, but with this GTA V trailer, now you can feel why this will be the best version of the GTA series and why it take time. Are you ready to go with the new gameplay with all new three characters? In this new GTA V official trailer, you can see that a whole new gameplay has been introduced where three different characters are included and player have to perform with these three different characters along as a team. So it will be exciting for the players. It also design with new cities, graphics systems, advanced 1st-person gameplay mode and a lot of. So now its just a matter of time for The Grand Theft Auto V release date.